Yogesh Raj, a key accused in the mob violence in Bulandshahr in which a police inspector and a civilian were killed, has been arrested, police said Thursday. Raj, the local convenor of Bajrang Dal, was on the run ever since the violence broke out in Siyana tehsil of the district on December 3, 2018. He was arrested around 11.30 pm on Wednesday from the Khurja T-point on National Highway 91, the police said. On Wednesday, Satish and Vineet, accused of violence, and Azhar, accused in the cow slaughtering case, had surrendered in the local court in Bulandshahr. An official said the police were gathering evidence related to their involvement in the cases and legal proceedings were underway. "Yes, Yogesh Raj has been arrested. He is undergoing medical examination and would be produced in the local court later today for legal proceedings," Circle Officer (Siyana) Raghvendra Kumar Mishra told PTI Thursday morning. 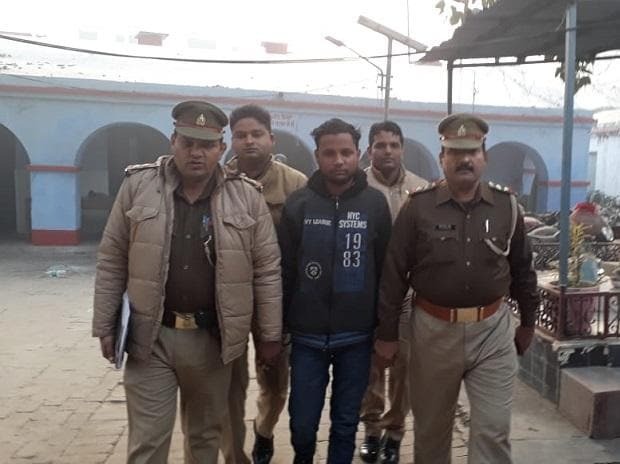 Working on a tip-off about his movement from Khurja to Bulandshahr, Raj, whose name appears on the top in the FIR on December 3 violence, was nabbed by the police, officials said. With his arrest, the number of accused held in connection with the violence has gone up to 31, they said. Inspector Subodh Kumar Singh and civilian Sumit Kumar of Chingrawathi village were killed in the mob violence that broke out in Siyana area after cattle carcasses were found strewn outside a village. Two cases were lodged at the Siyana Police Station the next day, one for violence, in which the police had turned complainant, and the other for alleged cow slaughter, on a complaint by Raj. Twenty-seven people, including Raj, were named in the FIR, while 50 to 60 unidentified people were booked under Indian Penal Code sections 436 (mischief by fire or explosive substance with intent to destroy house, etc), 307 (attempt to murder), 302 (murder), 124A (sedition), 147, 148, 149 (related to rioting), 332, 33, 353 (related to voluntary assault on public servant to obstruct them from performing their duty), 336 (act endangering life or personal safety of others). They were also booked for destroying public property, among others. On December 5, two days since the violence, a purported video of Raj surfaced on social media in which he had claimed innocence and said he was sure of being cleared of all accusations. However, his statements on the sequence of events on December 3 in the purported video were contrary to what he had stated in the complaint for cow slaughter based on which an FIR was registered against seven people, including two minors, of Nayabans village.